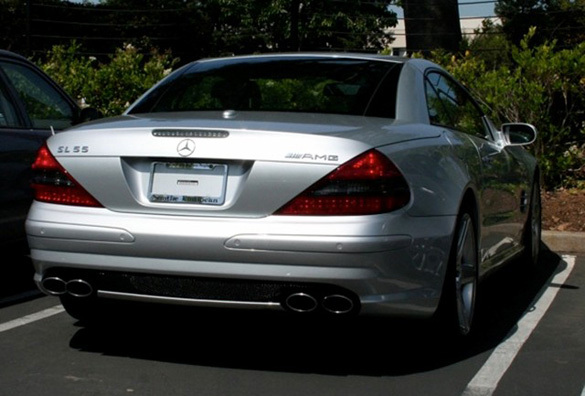 The late Steve Jobs was truly a pioneer of our lifetime and in the automotive enthusiast community many of us remember spy shots of his famous silver Mercedes-Benz SL55 AMG. Some of us recall that his SL55 AMG never had a license plate. Recently this mystery has resurfaced with an explanation from the folks at iTWire who spoke to Job Callas, the CTO of Entrust who worked with Apple in different security roles. Reportedly, according to Callas, Jobs found a loophole in California laws that would essentially allow him to drive around without a license plate. Jobs discovered that a new vehicle is able to drive around in California without a license plate for up to six months. 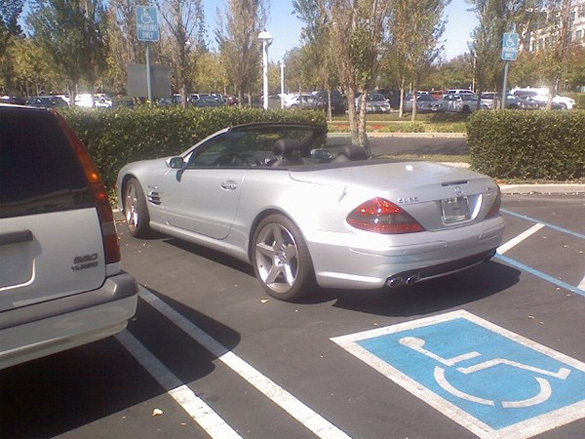 We knew Jobs was a clever guy but he took his company motto of ‘Thinking Different’ to his own automobile and simply leased a new silver Mercedes-Benz SL55 AMG every 6 months to avoid placing a license plate on the vehicle. Supposedly each SL55 AMG owned by Jobs was nearly identical and only a true enthusiast would be able to point out any differences. This goes to show that Steve Jobs will leave behind a legacy that continues to keep us guessing for many years to come. It is “just one more thing” that Jobs leaves behind for us to ponder.